Enjoy the season in and around Madison! Lights, song, and plenty of holiday community events to celebrate this 2017 season. Capitol Christmas Tree – Stop by the capitol and see one of the tallest Christmas trees you will see this season. Typically around 40 ft! Over 1400 handmade ornaments, feet of garland and lights, and a historic train set at its base. 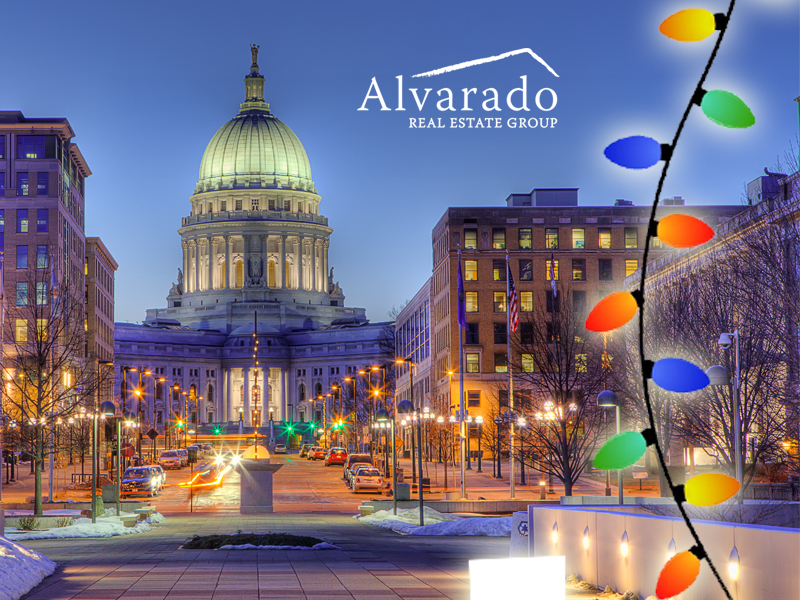 Seasons Greetings from the team at the Alvarado Group!